Welcome to WARTIMES.ca a website dedicated to the remembrance and research of Canada’s military contributions. 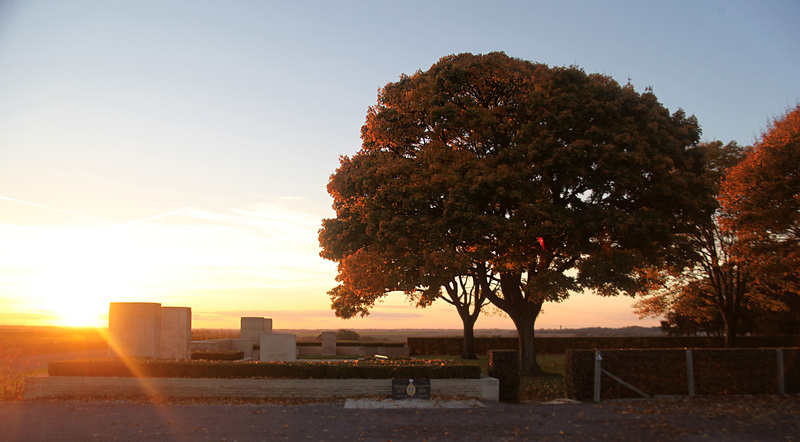 Atop a gentle crest surrounded by lush French farmland lies the Bény-sur-Mer Canadian War Cemetery, pictured above. Here lies the graves of soldiers from the 3rd Canadian Division and 15 airmen killed during the Battle of Normandy. The cemetery also includes three British graves and one French grave, for a total of 2048 markers. The French grave belongs to a French resistance soldier named R. Guenard who fought and died alongside the Canadians and who had no known relatives. Unidentified Canadian soldiers, who are wearing greatcoats, web equipment, and steel helmets, Petawawa, Ontario, Canada, 1943. 1915 Lieutenant Cameron Brant, a direct descendent of Six Nations leader Joseph Brant is killed in action at St. Julien.